Hi I’m Shia CS and I would like to share my recent experience here at Compassionate Care Center. I have been suffering from pain at both knees and legs for past 1 year. Previously I could not walk far nor long, only around 20 steps before I had to sit down and rest. In the morning, I have trouble getting out from bed as I had to look for things to hold on and for support. I have tried various treatments like acupuncture, tui na, and have taken countless medication to relief the pain but nothing was effective. One day, I heard of Compassionate Care Foundation through China Press and I had decided to try to apply for the treatment. 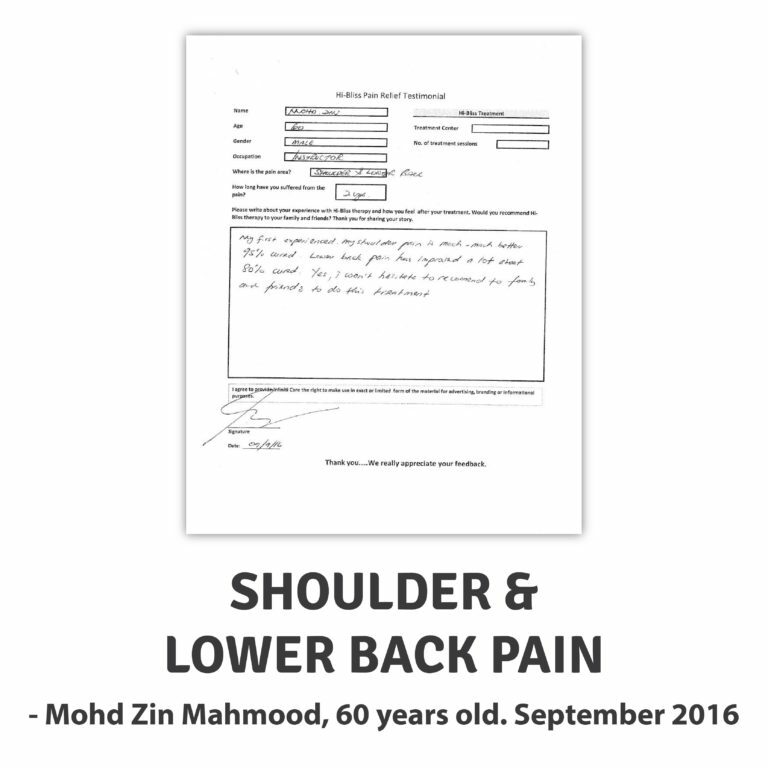 After under-going treatment for around 3 – 5 times, I could feel the vast improvement in my mobility and the pain had also reduced tremendously. I can now get out of bed easily and I can also walk a longer distance. The staff are very friendly and caring, especially my therapist, Syu. Syu is very patient, kind and had taught me various exercises to do at home, mainly to strengthen my knees and legs. Am thankful to Compassionate Care Foundation for the free treatments and also China Press for featuring them.